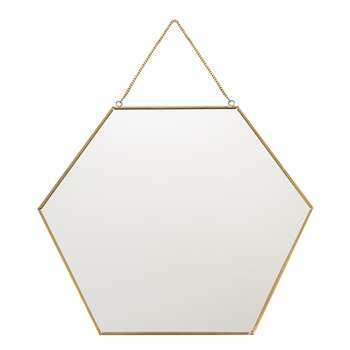 Add timeless luxury with this stunning hexagonal mirror which boasts a chain hanging and on-trend brass finish. Product code: 3677514. Material: 70% Glass 30% Brass. Colour: Multi. Dimensions: D62cm. Care Instructions: Wipe clean Only.